Did you know doing the bride pose regularly, stretches the chest, neck, spine and hips. Strengthens the back, buttocks and hamstrings. Improves circulation of blood. Helps alleviate stress and mild depression. Did you know the plow stretch has many benefits as well? 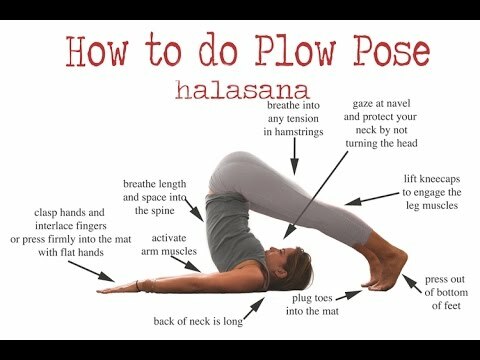 Plow pose opens the neck, shoulders, and back. By compressing the abdomen, it massages and tones the digestive organs, which improves detoxification. This pose stimulates and regulates the thyroid land, relieves excess phlegm and mucus and regulates the breath.